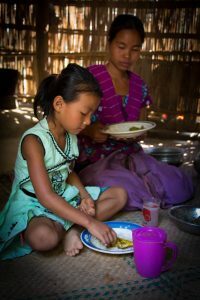 In this blog, we talk with Agnes Quisumbing, a Senior Research Fellow at the International Food Policy Research Institute about her recent article on women’s empowerment and dietary quality across the life course in Bangladesh. 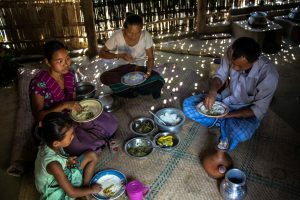 Quisumbing and her co-author, Esha Sraboni, a PhD candidate at Brown University, use nationally-representative data from Bangladesh to examine how the connections between women’s empowerment and diet vary depending on household members’ life stage and gender. A4NH: What is women’s empowerment and how is it connected to what people eat? Agnes Quisumbing: We define women’s empowerment using Naila Kabeer’s definition — the ability to make strategic life choices, particularly in situations where this ability wasn’t present in the past, and act on them. Empowerment is a process of gaining resources, agency, and achievements — all of which relate to what people eat. A farm household, for example, needs resources like land, water, seeds, and labor to produce the food that they eat or sell on the market. The mother within that household — typically the caregiver and food provisioner — has to have the decision-making power (or agency) to make sure that resources are used to grow or purchase nutritious food, and that food is allocated equitably among household members. Finally, what people eat is directly linked to achievements such as improved health and nutrition. The focus of this paper is how women’s empowerment is associated with the dietary diversity of different people within the household, depending on their gender and stage in the life course. A4NH: Why did you choose to focus on Bangladesh? Quisumbing: I have worked on Bangladesh for more than 20 years, and it is a fascinating country to study because there has been so much social change, a lot of it because of civil society organizations (NGOs) as well as government programs that invest in the social sectors. It is also a country where long-standing patriarchal traditions mean that women have low status in society and within the household, which has implications for the nutritional status of women and children. We are also quite fortunate that Bangladesh is one of the first countries to field the Women’s Empowerment in Agriculture Index (WEAI) in a nationally representative survey, the Bangladesh Integrated Household Survey (BIHS). This data set also contains individual food intake data on all household members. So, it’s a lucky combination of having a country where there are gender differences in intrahousehold allocation of food, as well as a data set that has information on food allocation and women’s empowerment. 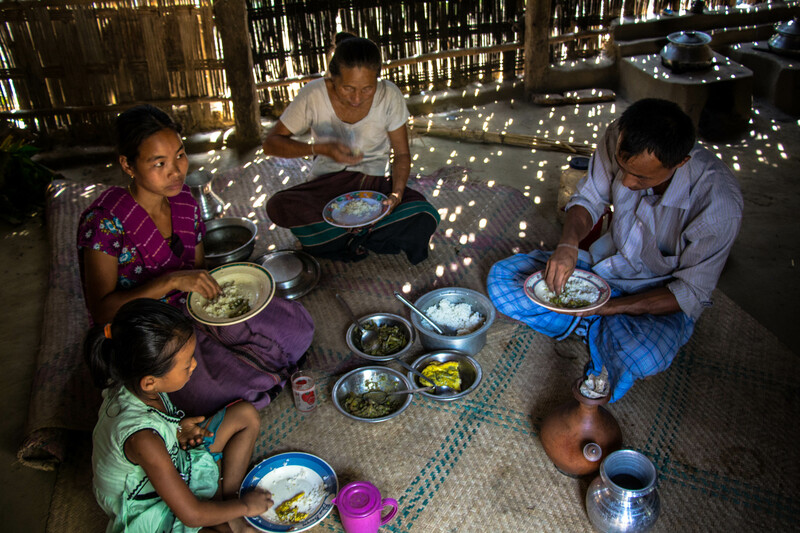 A4NH: In this study, you look at the associations between women’s empowerment and dietary quality in Bangladesh. What were your main findings? Quisumbing: As mentioned earlier, our measures of women’s empowerment in agriculture are constructed from the WEAI. Our indicators of dietary quality are the dietary diversity score (the number of food groups consumed) and individual intakes of macronutrients (total calories and protein) and micronutrients (iron, zinc, and vitamin A). Overall, we find that associations between women’s empowerment and dietary diversity and nutrient intakes vary across the life course. Women’s empowerment is only weakly correlated with the dietary quality of the youngest children (aged 6-59 months), but strongly correlated with that of older children, adolescents, and adults. For the youngest age group, maternal schooling matters more for diet. These associations also vary by gender within the household. The number of community groups to which the primary female belongs is positively associated with the dietary diversity of girls age 5-10 and nutrient intakes of adult women themselves. A4NH: You find that the association between women’s empowerment and dietary quality varies by age. Why do you think that you see these differences across the life course? Quisumbing: The lower status of women in Bangladesh (and in South Asia, more generally) is well documented, and this status will affect how resources — including food — are allocated to them. But their status also varies across the life course. Once a girl reaches puberty, there is pressure on the family to marry her off and provide a dowry. Elsewhere in South Asia, it has been documented that the pressure on girls’ families to save for a dowry results in families allocating fewer resources to them. The adolescent girls and young women in our sample are daughters waiting to be married off and young daughters-in-law, who have the lowest status in the household. Adult women have higher status, except for much older women, especially widows, who are then dependent on adult sons for support. Given older women’s dependence on sons, it is no surprise that women favor sons over daughters. A4NH: You note that your results “also challenge the assumption that women’s empowerment automatically results in gender-equitable outcomes.” Does empowering women change gender norms? Quisumbing: One important finding from our paper is that empowerment does not benefit all individuals within the household equally, with gender bias emerging during adolescence. That is, when the primary woman is more empowered, we find that adolescent boys fare better than adolescent girls. We often think that women are altruistic and work for the benefit of everyone in the household, so empowering them will automatically result in gender-equitable outcomes, but this is not the case. However, our results show that women may be acting in their self-interest too. The evidence shows that directing resources to women, rather than men, is more likely to improve household well-being, particularly in relation to health and nutrition. However, in South Asia, a woman investing more in sons than in daughters may be motivated by self-interest rather than altruism. This is because men still have an advantage in labor markets and property rights; women are disadvantaged in dealing with markets and public institutions, and rely on men to be go-betweens; and women often depend on their sons for support in old age or if they are widowed. So, while the woman herself may be empowered, she is in a disempowering social and cultural environment. For gender norms to change, structural barriers that disadvantage women should be removed. A4NH: What can development practitioners learn from these results? Quisumbing: Government and civil society interventions should not only attempt to empower women as individuals, but also address structural and societal factors to make women less economically and socially dependent on sons, husbands, or brothers. I would also make a pitch for interventions directed to men and boys, to make them realize the important roles that women play in their households and society. Sustainable changes in gender norms can’t rely on women alone — men and society have to change too. Sraboni E and Quisumbing A. 2018. Women’s empowerment in agriculture and dietary quality across the life course: Evidence from Bangladesh. Food Policy 81, 21-36. Yount K. 2017. A framework for measuring women’s empowerment at multiple levels. Quisumbing A. 2016. International Women’s Day 2016: Empowering women with data and evidence in Bangladesh.